THE GINGER COOKIE: A SUGAR COOKIE INVADES THE GINGER COOKIE BLOG! A SUGAR COOKIE INVADES THE GINGER COOKIE BLOG! By now everyone probably knows about the wonderful trick of putting light corn syrup (Karo) on a cookie after it's baked to attach sprinkles. Paint corn syrup with a small brush on the cookies where you want the sprinkles to stick and pour on the sprinkles. Then tip off the extra and what stays on the cookies is where you painted. It is so much easier and prettier than trying to get the sprinkles exactly where you want them BEFORE you bake the cookies - which I spend hours doing before I read about this trick. 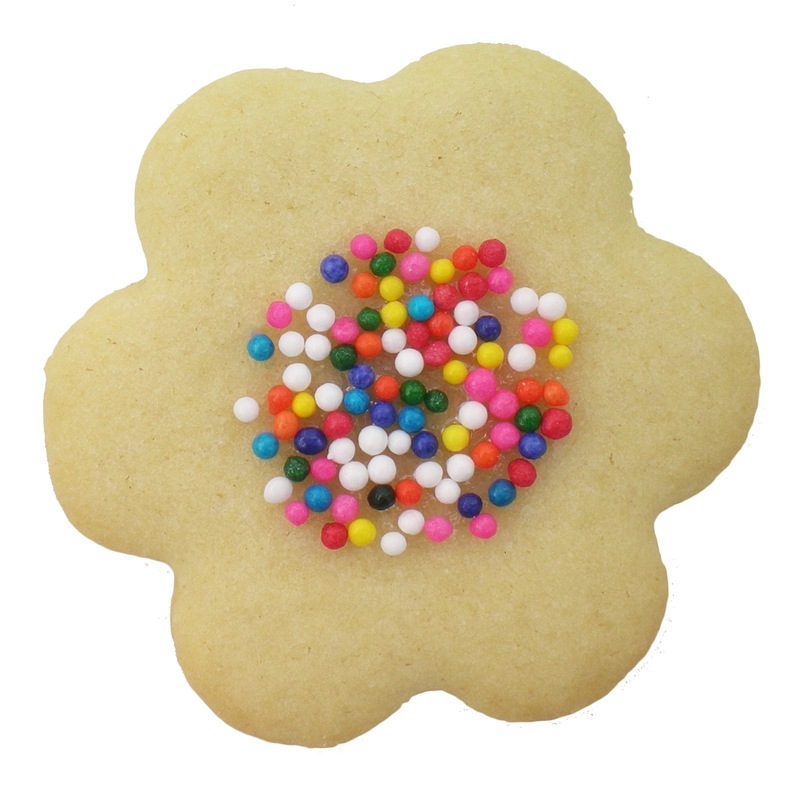 Sprinkles are decorative, fun and add a little crunch to your sugar cookies. And here's that six-petaled cutter again!